In this week’s blog we see the end of SF Horror month and take a look into our scanners for what is coming in November. Gaming is a relatively new medium for delivering SF Horror content. Well if you consider thirty+ years or so to be “new”. More than a few table top and video games combine science fiction and horror in their story lines. The table top rpg Eclipse Phase is a more recent example, but one of the best known is Chaosium’s Call of Cthulhu. Call of Cthulhu taps into the cosmic horror of HP Lovecraft. Video games can deliver a great horror experience. 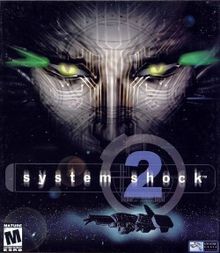 One of my favorites was System Shock 2. You should play it with the lights off and your headphones on. That is the best way to get the experience. Another personal favorite is Dead Space, which had a few animated films and a couple sequels. These few games are just the tip of the iceberg when it comes to SF Horror games. One hundred years what can arguably said was the most destructive war in human history ended. Even today the human race is still feeling the effects of The Great War, also known as World War One. War and the effects of war on soldiers and civilians has spawned a great deal of sf literature and entertainment. We will talk about Military SF in November, from many different points of view and with an eye towards treating the subject with the sensitivity it requires. In this week’s blog we talk about SF Horror characters and the importance of characters in general. Plus the regular Track News for this week. As always, this blog is scary good. More than plot or location, the characters in SF Horror are what entices us to watch, read, or listen to these remarkable tales. In many cases these characters are paired up with a memorable protagonist (or antagonist) to create dynamic tension. Ripley and the Xenomorph from Alien as well as Ripley with the Alien Queen in Aliens. The monster and Victor Frankenstein from Frankenstein. These are great examples of character pairs (more on that in a moment). 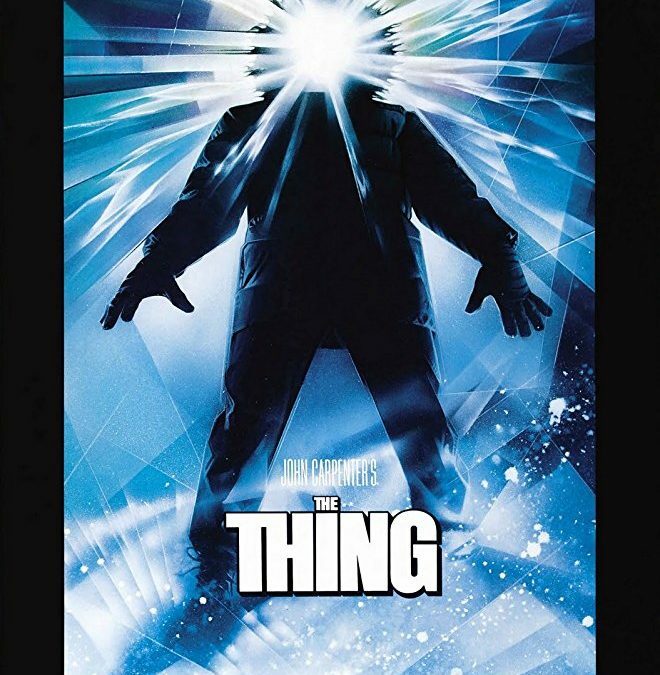 MacReady and Childs from John Carpetner’s The Thing are an interesting pair as well. Especially if you think one (or both) have “changed” by the last scene of the movie (spoilers). Dr. Jekyll and Mr. Hyde are another pair caught up in their own strange case. In particular they blur the line between protagonist and antagonist and force us to question who is the real monster. Who is the monster? The question is not always obvious depending on the story. Certainly Hyde is a part of Jekyll, a part brought out through science and experiment. Hyde is an indulgence and a thoroughly unpleasant side of Jekyll, but who is the monster? 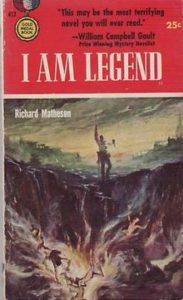 In 1954 Richard Matheson’s novel I am Legend was published. (Minor spoilers ahead.) You may have seen the Will Smith version, or the Charleton Heston version called The Omega Man, or Vincent Price’s The Last Man on Earth. But none of them quite capture the conundrum of Robert Neville, a survivor of a disease that turns people into vampires. Slowly over the novel the protagonist comes to realize that he is no longer a human fighting off waves of the undead, but in fact has become a legend or a monster himself. In the same our SF Horror literature and movies reflect the darkest part of ourselves and our dalliance with technology. This Friday is part two of the Ancillary Read Along. Chapters 3 & 4. Once we can announce guests who will be on the track (this may not be soon), we will do so. Where we talk about SF Horror Tropes and give our impressions of Ancillary Justice Chapters 1 and 2. Everyone loves tropes, don’t they? Okay, perhaps everyone is a bit of an exaggeration. Tropes are fun touchstones that when done well add a familiar dimension and zeitgeist to a show, film, or literature. They set up expectations for the audience and then (hopefully) deliver on those expectations or better yet subvert those expectations. But tropes can get played out and when not used in subtle or inventive ways, they just seem like lazy writing. I suspect this is why the word trope often comes with a negative connotation. I have a number of tropes that I enjoy and a few I don’t. This list from TV Tropes is pretty good if you are having a hard time thinking of some. Mad Scientist: Yeah this is the first one that came to mind. Victor Frankenstein creates a literal monster, though it turns out that the scientist himself is actually the real monster. Another great example is the Invisible Man, Dr. Griffin. Came from the Sky: This encompasses much of the fear we spoke about in our last blog. Humans are both fascinated and terrified of what might lay beyond our atmosphere. A few well known pieces that fit here are War of the Worlds, Who Goes There and The Thing, and of course Predator. Although the last is really only SF because alien, it still counts. Body Horror: Twisting the human body and changing it into something else entirely is another horrific idea that keeps folks awake at night. Again The Thing is a great example but another is The Fly. Leviathan could be dropped in here too. 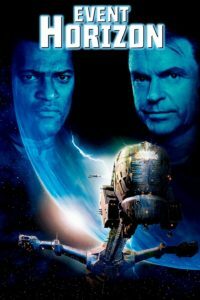 Hyperspace is a Scary Place: One of my favorite SF horror movies fits this trope quite well. 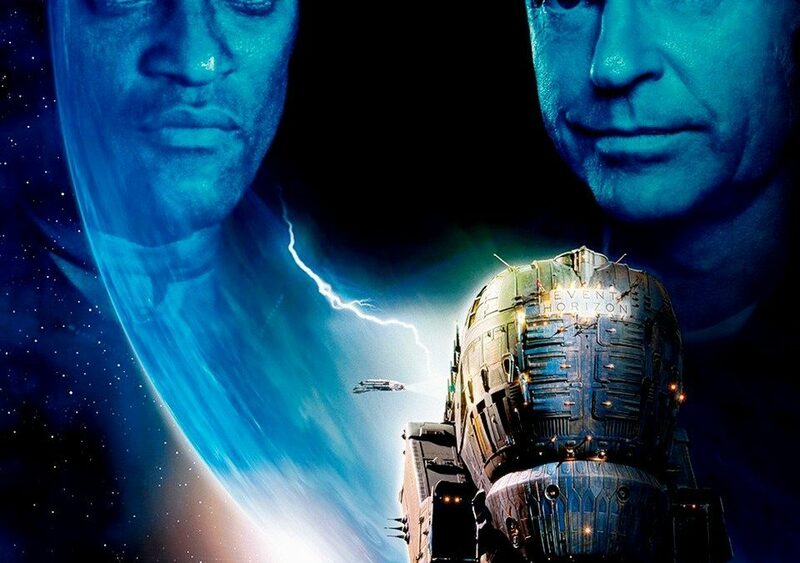 Event Horizon is a cult classic, loved by some and reviled by others but the titular ship literally goes to Hell on its maiden voyage and brings something back with it. Great stuff. Do you have a favorite SF Horror trope? Check out our poll in the JordanCon group later this week. I am enjoying the story thus far, though through the first two chapters we are getting a great deal of information without context. I enjoy that kind of writing, but I can see where it might also be confusing. The idea of a ship being conscious is not new to SF, but that is another aspect of the story I like. The flow of chapter two seems a bit off. And I am wondering if these are characters we will meet or hear about later. I hope there is some payoff as they seem like interesting characters. What do others think? Any thoughts and impressions? The next installment of the Ancillary Read Along will be on October 26th, discussing Chapters 3&4. Science Fiction and horror have always been linked together. From the very beginning in Mary Shelley’s Frankenstein, or The Modern Prometheus to Jeff Vandermeer’s Annihilation, the two genres mesh very well. Especially when science and the consequences of science can be so frightening to people. It is this fear that makes the literature of SF Horror so compelling to readers. I have mentioned two books but there are (many) more that can be discussed. I will mention a few of my favorites. War of the Worlds (H.G. Wells): This classic plays upon the fear of invasion by unknown and inscrutable beings. Humans were (and are) obsessed with the idea of life on Mars and that obsession often casts that life as hostile. It is a war story, a story of survival, and the end of the age, which is another fear people of that era shared. If you ever doubt how scary this story can be, read of the accounts of the Orson Welles radio drama and the panic that it caused. Who Goes There? 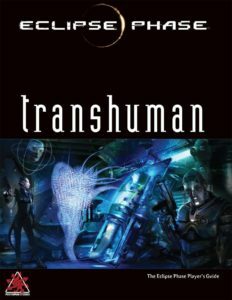 (John Campbell): Locked in a research station with no chance of outside help and a shape shifting alien inside? I am sure that isn’t scary. Yet three movies have been made based on Campbell’s tale with the first two being something of cult classics. Definitely worth the read whether you enjoy the movies or not. The Andromeda Strain (Michael Crichton): A secret government project goes awry, but not in gore and camp. Instead this is a race against time to find a way to neutralize an alien organism before it mutates and kills everyone on Earth. All of these books and many others tap into fears that we already have, turning them against us and making those fears frighteningly real. Some are primal fears and others social fears, turning every day discomfort into deadly menace. Reading these books allows us to experience those fears in a safe and exciting way. Of course not all SF is about horror, but there is no question that SF and Horror have long been good friends among the genres. We had the impressions discussion last week. This week we talk about Chapters 1 & 2. As always that will be posted on Friday. 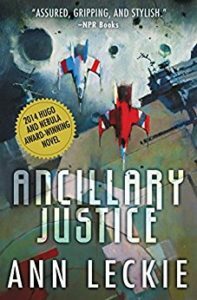 This week we have a fun topic and an update on the Ancillary Justice Read Along. So sit back and get ready SF Horror Month on the Weirdsday Blog! All this month we will be showcasing Science Fiction that has elements of horror (or vice versa). For week one I want to talk about movies that fit the bill. There are so many good ones, but my own favorite is Alien, the original movie of the franchise. I will be putting up a poll on the Jordancon group to see what other SF Horror movies other folks like. Why do I love Alien so much? I think it is a number of things, the first of which is the every-man cast of characters that crew the Nostromo. These are a bunch of space truckers or merchant marines who care more about getting their cargo home than they do about being heroes. The alien nature of the creature and how it reproduces is pretty unique. And the creature has character in its design and how it is portrayed. Do you like Alien? Tell us why or why not. 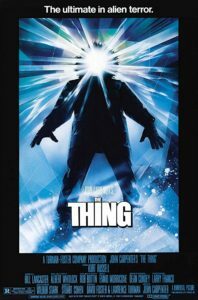 Later this week I will be throwing a poll up on the JordanCon FB group to determine our favorite SF horror movies! So this Friday, October 5th we begin the Ancillary Justice read along. This week will just be an introduction to the book, overall impressions, and setting some expectations. The next week, the 12th, will be a discussion of chapters 1 & 2. Every other week (so the 26th) after that we will discuss two more chapters until we get to the end of the book some time in March or early April. So grab a copy and read along! And that is it for this week. See you next week when we will discuss SF horror literature. JordanCon strives to be an inclusive experience for its membership. We work hard to make people of all kinds feel welcome and wanted within our great community. Since I came on board as director of the Science Fiction track, I have made a diversity of content part of the track’s core goals. This includes the width and breadth of the content as well as diversification of the content creators themselves. There can be no doubt that SF is a genre that pushes us to open our minds to new ideas. At its best, SF challenges our visions of ourselves and of our futures and this challenge can be uncomfortable. At the same time these challenges can be enjoyable and eye-opening experiences. This is important too; after all we come to JordanCon to enjoy ourselves and SF touchstones we are familiar with have a comfortable feel. But diversity has to be more than a word on a blog or a concept. It has to be more than a check mark on our social resume. It has to be pursued, nurtured, and offered in an authentic way. Every year I think we do a little better than the year before on the track, but every year we will try and do even better. There is so much wonder out there that I want to introduce to the membership. Stories both old and new that you might have missed. Voices that for unfortunate reasons may have been ignored by the mainstream. This year we will tackling this in content of our panels and how some of our panels are structured. Suffice to say we will have two panels in particular, one focusing on SF literature by people of color and the other focusing on SF feminist literature, that directly address their subject matter. We will also be introducing (as we do every year) panels on content that may not be new to you but are new to JordanCon. Fans of these properties and creators will enjoy talking about them and encouraging new fans to come on board. 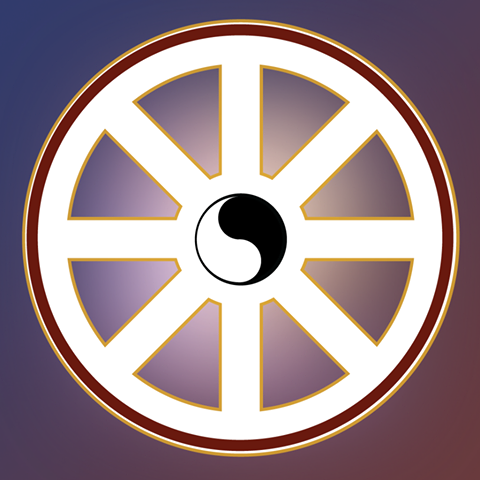 And as always the Science Fiction track will support whenever possible our indie and self-published content creators. We will try and go outside the box. I want to add Charlie Jane Anders’ All The Birds in the Sky to this year’s reading list. Our group read of Ancillary Justice starts next Friday, October 5th.